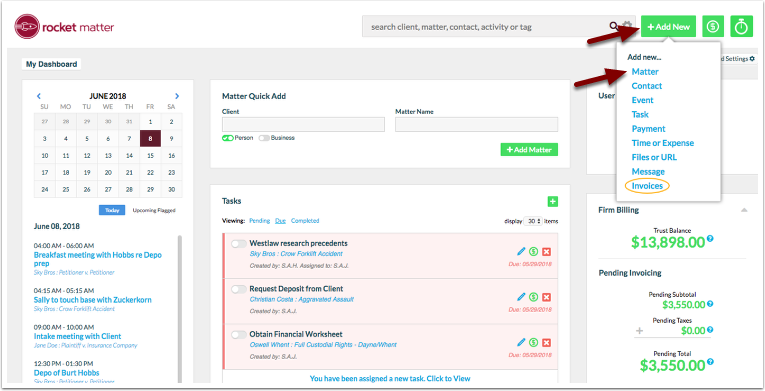 Rocket Matter Knowledge Base Rocket Project Management (NEW! )How to apply a Workflow Status to new matter. 1. While on the main dashboard, click on '+Add New' and select 'Matter'. 2. Enter the 'client information' and 'matter name' for this new matter. Then, select your 'matter type' and 'workflow status'. **If you have attached the workflow status to a matter template, you won't need to apply this template manually on the right hand side of your screen. After saving the new matter, you'll be prompted automatically to add the assigned matter template. 3. Once you've finished the matter setup, scroll to the bottom of the page and click 'Save'. 4. 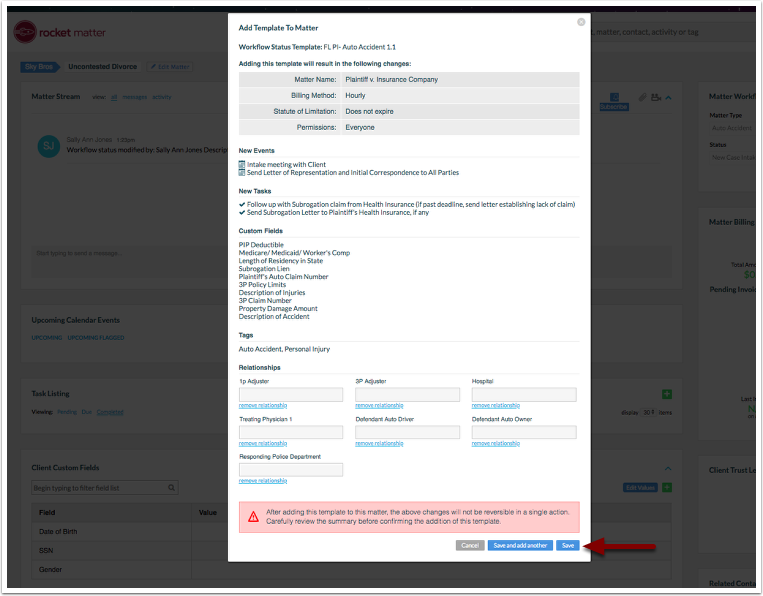 If you have attached the selected workflow status to a matter template, you will be prompted to automatically add the assigned matter template. Review the matter template details, and click 'save'. Prev: How to apply a Workflow Status to an existing matter. Next: How do I change the matter workflow status.